In Finland, planning competitions are used as a way to determine alternatives in the early phase of urban planning. However, the traditional jury-based evaluation process is encountering significant opposition as it does not consider the views of local residents. In recent years, methods of web-based evaluation have been developed and tested to register public opinion in several planning competitions. 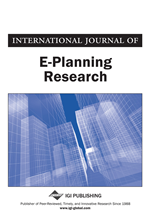 This paper describes how web-based public participation and GIS-based evaluation tools, such as PPGIS (public participation geographic information system) and public evaluation web pages, are utilised in urban planning competitions. The research focus of this paper is on studying how public participation can be arranged in competition processes and how the competitors use the information produced. In addition, we identify issues that can affect the utilisation of the information. Based on two Finnish case studies, this study indicates that web-based tools can augment public participation in various phases of the competition process. Various academic studies have been implemented in the field of public participation and collaboration of urban planning. These studies have focused either on the activities people engage in or in the broader purpose of participation (Schlossberg & Shuford, 2005). Despite this, research cases concerning public participation in urban planning and architectural competitions represent something of an exception with little previous work being recorded. In Finland and other Nordic countries, these competitions play a significant role as planning instruments in the field of urban planning. Indeed, such competitions are often used as a way to identify and promote new ideas and alternatives in relation to various urban design projects. The tradition of planning competitions is more than a hundred years old (Rönn, 2011). In the context of urban planning, competitions are used, for example, in the planning of new housing areas and in urban renewal projects in areas where changes in land use are envisaged. Rational planning thinking arose in Europe in the 1960’s. In rational planning process, planning solutions can be based on scientific reasoning that way the environment can be planned to improve human well-being (Taylor, 1998). The rational process itself is not in conflict with participative planning, but in the tradition of rational planning there is no space for residents’ views, as views are not considered to be scientific information (Rantanen & Kahila, 2008). In Finland the move away from the rational planning paradigm towards a communicative and participative planning practice remains an ongoing process. Communicative planning theory emphasises the role of different stakeholders in the practice underlining the process and the content of planning (Healey, 1997). According to the Finnish Land Use and Building Act (1999), everyone has the right to participate in urban planning. However, this applies only to official planning projects. As such, public participation is not mandatory in planning competitions. Moreover, opposition to the ways in which traditional planning competitions are conducted, particularly in relation to their lack of public participation, is clearly growing (Rönn, 2009). At the same time, the use of the Internet and social media is also rising sharply. In 2013, it was estimated that 90% of Finns aged 16-74 used the Internet (OSF, 2013), three quarters of them on a daily basis. This offers new possibilities to involve people in urban planning processes via the web. The electronic participation tools that aim to support more diverse preparation of plans, enable more efficient and democratic processes and produce more comprehensive and reliable follow-up are now well accepted (Evaluation of…, 2014). In order to become an essential part of future competition processes, web-based participation (e-participation) practices should be further developed and their impact on the planning process should be evaluated. This article synthesises the results of two case studies where participation during the competition process was studied. The focus is on the possibility of pragmatically including public participation in the competition process; two cases in which a variety of web-based participation tools were utilised in the city of Vaasa and in the municipality of Sipoo are presented. The Sipoon Jokilaakso (River valley of Sipoo) planning competition represents a typical planning competition of a new housing area. The Palosaaren salmi (Strait of Palosaari) project in Vaasa is an example of an urban renewal project. In the context of this article, we simply refer to these projects as Vaasa and Sipoo. The aim of e-participation was to enable the public to participate in the competition process as deeply as possible. Internet tools were used to present and evaluate the competition entries. In addition, in the case of Vaasa, public participation geographic information systems (PPGIS) software was used from the outset to collect experience-based information from residents. This article presents the use of these tools and their effect on the competition process.